Two teenagers meet under duress as bullets hail during a convenience store robbery. They survived—barely—but two other teenagers did not. Thrust into the roiling wake of something so horrible, one of them decides to quit his illicit dealings, while the other falls into a tailspin of trouble. Kylie Scott’s mature YA, Trust, shares the story of Edie and John—two young people whose lives were quite different, but who shared an experience that would forever join them in ways others couldn’t understand. After facing death, seventeen-year-old Edie refuses to stand for the fat jokes, the constant taunting she’s put up with for years. So she leaves private school and enrolls in the local high school, where she runs into the boy that saved her life. Everyone knows John, his reputation precedes him, both girls and boys vying for his attention or access. But after the incident, John decided to make changes, leaving a dangerous life behind and determined to get things right. But as Edie’s emotions spin out of control making her act wildly, it’s John who’s there to keep her on track. Their journey is one of healing each other, of understanding the highs and lows left after a night that changed everything. As feelings step past the boundaries of friendship, however, things unravel in more ways than one, especially when they’re again caught up in the world that almost got them killed. While definitely a coming-of-age story, Kylie masterfully imbues a sense of edge, realism and grit. I loved how the bad boy and good girl story flipped in some ways, but not cleanly, just cleverly, in ways that made things interesting along the way. Themes of friendship, family, first love, fear and trust emerge in a story skillfully brought to life. 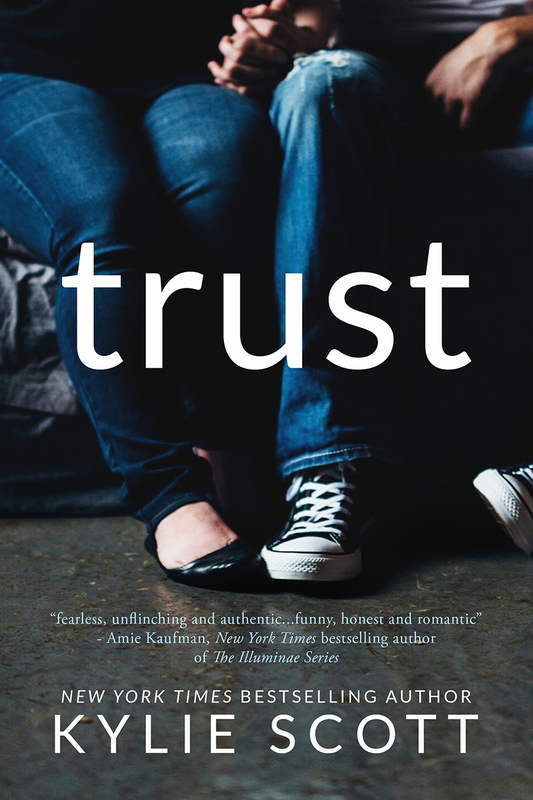 With its fast pace, suspense, humor, realism and relatability, Trust is a must-read summer pick for both YA and adult genre readers alike.